Find out if you qualify for a retirement plan tax credit - Vermillion Financial Advisors, Inc.
You may be able to claim a tax credit for some of the ordinary and necessary costs of starting a SEP, SIMPLE IRA or qualified plan. 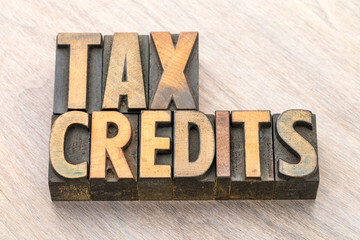 A tax credit reduces the amount of taxes you may owe on a dollar-for-dollar basis. If you qualify, you may claim the credit using Form 8881, Credit for Small Employer Pension Plan Startup Costs. In the 3 tax years before the first year you’re eligible for the credit, your employees weren’t substantially the same employees who received contributions or accrued benefits in another plan sponsored by you, a member of a controlled group that includes you, or a predecessor of either. The credit is 50% of your ordinary and necessary eligible startup costs up to a maximum of $500 per year. Educate your employees about the plan. You can claim the credit for each of the first 3 years of the plan and may choose to start claiming the credit in the tax year before the tax year in which the plan becomes effective. The credit is part of the general business credit and you may carry it back or forward to other tax years if you can’t use it in the current year. However, you can’t carry it back to a tax year beginning before January 1, 2002. You can’t both deduct the startup costs and claim the credit for the same expenses. You aren’t required to claim the allowable credit.